Following the recent flooding in parts of Katsina State, during which more than 50 people lost their lives and several communities washed away, the National Emergency Management Agency (NEMA) for the North-West says it has taken steps to restrategise for better management of disasters. 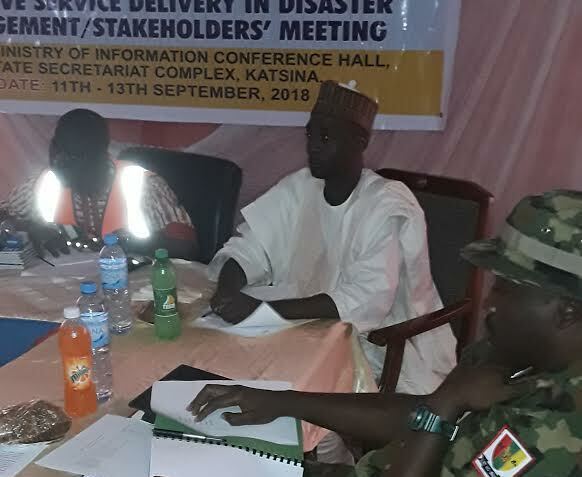 Speaking on Wednesday at the opening of a three-day workshop for stakeholders in Katsina, NEMA Zonal Coordinator Ishaya Isah said that the meeting would assess the state of preparedness of all the organisations and other stakeholders involved in disaster management. According to him, “the use of the agency’s proactive approach to disasters as part of our Disaster Risk Reduction (DRR) strategy needs to be imbibed by all stakeholders in order to reduce the risks and mitigate the impact of disasters in our communities. “In line with our mandate in managing disasters in all its ramifications, the agency is compelled to ascertain the capacity of all its critical stakeholders and monitor their state of preparedness. In his remarks, the Commander, 35 Battalion of the Nigerian Army, Katsina, Lt. Col. Okodaso, described the role of the Nigerian Army to include response to disaster issues across the country. According to him, “with the recent establishment of a battalion in Katsina, two disaster response units from the Nigerian Army are being set up at Funtua and Malumfashi. “It is part of the duties of the Nigerian Army to respond to disaster issues in all parts of the country and safeguard and protect the people during disasters,” Okodaso said. Participants at the programme are drawn from members of the armed forces and paramilitary organisations, including the Federal Road Safety Commission, medical aid organisations like the Nigerian Red Cross, plus traditional rulers and other concerened stakeholders.